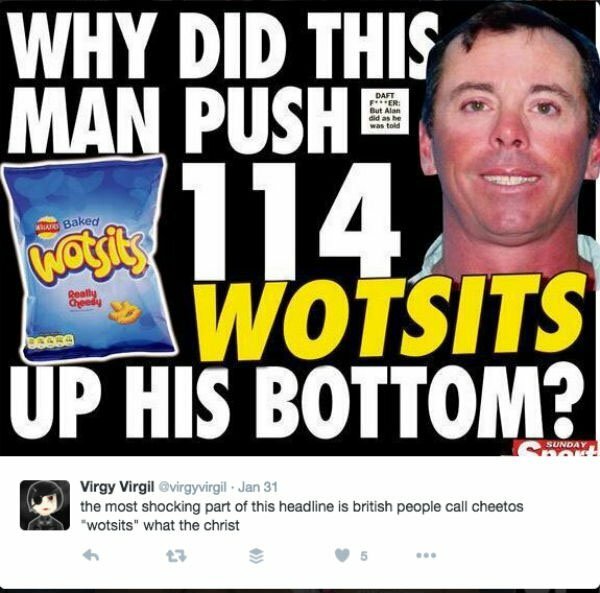 Wotsits are an actual term or alagamation of words into somthing that whilst not a proper word doeas actually have meaning. Cheeto's sound like an extra-marital whore. At a guess, because most people can stuff at least 20 in their mouth because they start melting, so he wondered how many would fit up his back passage. you think there is about 40 wotsits to a pack? I don't believe it.